NXNE FILM BREAKS OUT OF THE MUSIC BOX! NORTH BY NORTHEAST (NXNE) is boldly expanding the scope of its acclaimed NXNE Film programming from just music-themed movies to the best films across all genres. Today, the festival announces its first round of flicks for 2014 - including silent film La Voz De Los Silenciados (The Voice Of The Voiceless) and the horror-comedy Whoops!. NXNE Film will include World, North American and Canadian premieres, all of which will screen at the Bloor Hot Docs Cinema between June 13-15, 2014. The story of Randy Now and infamous mosh palace City Gardens is a documentary from director Steve Tozzi, featuring the stark and iconic photography of Thrasher Magazine’s Ken Salerno. This unique oral history is illustrated through in-depth interviews and archival footage, bringing to life the gritty story of one of New Jersey’s most fabled clubs and its larger-than-life promoter. City Gardens was a venue for underground music, and during its time it traversed the entertainment spectrum: from the comedy of Henny Youngman to Nine Inch Nails, New Order to Nirvana. Riot on the Dance Floor is a journey of musical champions and underdogs - and above all, is about the freedom and liberation of having complete creative control. La Voz De Los Silenciados is an 80-minute silent film that paints a searing picture of contemporary slavery, using non-actors, Brechtian stylization, a brutal subway landscape, and the isolation of deafness. The film follows Olga, a hearing-impaired teenager from Central America, who is lured to New York City under the false promise of attending a Christian sign language school, she finds herself a slave to an international criminal syndicate. Based on the true story of a crime ring that was busted by New York Police in 1997, La Voz De Los Silenciados shatters the idea of film, storytelling, and narrative without sound. And a millennial auteur is born. In early reviews, critics have been fairly besotted with Kestrin Pantera, who directs herself and her real-life husband Jonathan Grubb in a female tale of Peter Pan Syndrome and life confusion (the Los Angeles Times invited us to “think Sandra Bullock meets Pat Benatar”). The story focuses on a thirtysomething named Channing whose invention of a karaoke bar on wheels points her firmly on the road to endless hipsterdom – just as her husband Chazz contracts the “domesticity” bug and the urge to procreate. Which primal urge will win? Following the death of her oldest sister, Cory Webber, a globetrotting nature photographer, is guilted into a vacation to Cape Cod intent on bringing her family together. While constantly trying to hide herself from her family, Cory is offered a time-sensitive job, rehashes old childhood memories both good and bad, and discovers some revelations about her late sister. Cory must reflect on her once lively sister and haunting childhood, resolve old personal conflicts, and ultimately embrace life as a beautiful thing. Lies I Told my Little Sister stars Ellen Foley, star of Night Court and the female singer in Paradise by the Dashboard Light by Meatloaf. Perhaps only a mordant British mind could come with up with the notion of a comedy about an “accidental” serial killer. In the vein of the Edgar Wright/Simon Pegg oeuvre, directors Tony Hipwell and Miles Watts create this indie tale of an ordinary office worker and mother of two named Rose (Elaine Glover) whose bad habit seems to be a form of murderous bad luck (running the gamut from impaled eyeballs to rivers of blood). Can a pair of determined-but-perplexed police officers piece together her trail of lethal klutziness before the body-count becomes horrific? The process of creating a troubled/brilliant album has been at the core of classic music documentaries from Let It Be to Wilco’s I Am Trying To Break Your Heart. A very Canadian project, Luck’s Hard follows the quest by Ron Hawkins – of the seminal ‘90s alt-rockers Lowest Of The Low – to create the perfect band. He succeeds so resoundingly that his Do Good Assassins project seems to demand nothing less than a double album. The tale of taking this show on the road includes much angst and at least one near-fatal illness. Suffering for one’s art endures. For those who remember the ‘80s, Quiet Riot were fun incarnate - complete with a healthy dose of big hair. But there was a dark side to the music that made us smile. Regina Russell’s documentary follows a crossroads in the life of Quiet Riot drummer Frankie Banali, who decided to re-form the band after lead singer Kevin Dubrow had died from an accidental drug overdose. Banali, who’ll be a guest at NXNE, powers this character-driven doc through sheer personality and love for his daughter and friends. It’s a tale of human perseverance that will rock your world. All NXNE badges and wristbands are now available online at nxne.com/tickets. 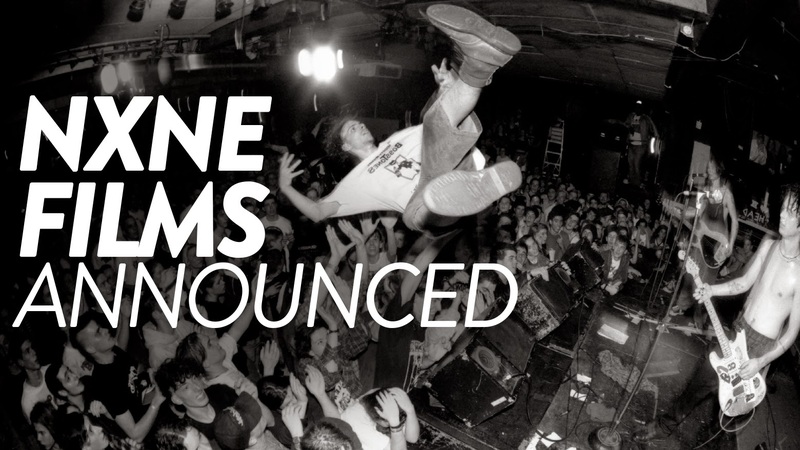 Now in its 20th year, NXNE Festival and Conference is one of the world's premier festivals. NXNE's five pillars - Music, Film, Comedy, Art, and Interactive - are essential gatherings for artists, industry, and fans. NXNE draws 350,000 attendees and generates an annual economic impact of over $50 million on the city of Toronto. Whoops! from SAM on Vimeo.